Cherrytec understands that each industry has its own unique requirements and challenges. Our solution sets are based on an in-depth knowledge of the processes that drive your business, whether you are a midsize company, or a large enterprise. Cherrytec helps manufacturing, retail and logistics companies navigate through the business challenges and leverage technology to achieve superior business coordination, maximize production performance and create customer value. 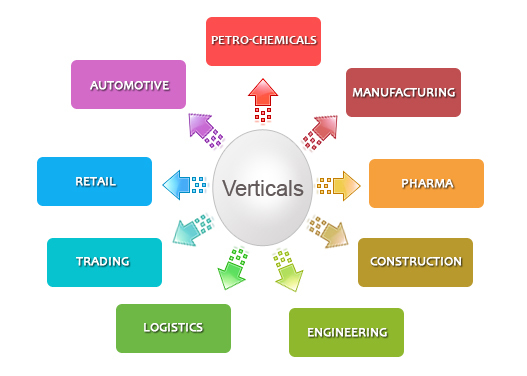 The Petrochemicals industry is an extremely complex and competitive industry with complex network and operational needs. SAP helps you in achieving operational excellence by integrating Solutions and processes within and beyond your organization and by ensuring regulatory and environmental compliance. Cherrytec has been working with some of the leading petrochemicals and petro-products companies to provide SAP services. Cherrytec has the experience and expertise to work with petrochemical companies for providing precise and effective solutions for their complex business requirements. Cherrytec’s services for the automotive sector enable OEMs to lower the cost of BOM by cost-driven product re-engineering. We offer SAP solutions for end-to-end product development and design for manufacturing. We help our Clients in automotive sector to lower the cost of development using low-cost resource model.